Most retirement advisors will tell you saving early and leveraging the power of compound interest makes for a smoother road to retirement. But what if you're unable to save in your younger years, what will you do in retirement? That is the question facing millennials in America today. Student loan payments, skyrocketing rent and extremely competitive international labor markets are all obstacles in the way of today's millennials and their retirement. Wondering how much you need to save? Our retirement calculator can tell you. In SmartAsset's study on millennial retirement, we looked at median household income in the 15 biggest cities in America. We assumed that the average millennial would save 7.5% of their salary in a 401(k) with a 4% return starting at age 27. Using those numbers, we were able to estimate the age at which millennials living in those cities may be able to retire. We based the 7.5% savings rate on Fidelity Investments' Retirement Savings Assessment study which found that's the median saving rate (including employer match) for millennials. Read the full data and methodology below for a fuller picture on how we put this study together. Things are better than one might expect –If the average millennial starts saving 7.5% of their salary in a 401(k) starting at age 27, we found that it's entirely possible for them to retire in their mid-60s. In cities like Chicago, Houston and Indianapolis we estimate that it may be possible for millennials to retire at age 64. But without Social Security millennials may be in trouble – Retirement for most Americans is dependent on Social Security benefits. We ran a second simulation looking at what would happen if millennials were left with no Social Security benefits to draw from. We found that millennials would likely be unable to retire until their mid-80s unless they seriously increased their savings contributions or cut way back on retirement expenses. Younger retirees in Philly –If you live in Philadelphia, you may be able to breathe a little easier. According to our estimations, millennials may be able to retire earlier in Philadelphia than in the other 15 biggest cities in the country. Partially due to low Pennsylvania taxes and a relatively lower cost of living in Philadelphia, it may be possible for millennials to retire here at 63. Older retirees in the Golden State – California stood out as being home to the two cities with the highest estimated retirement ages. 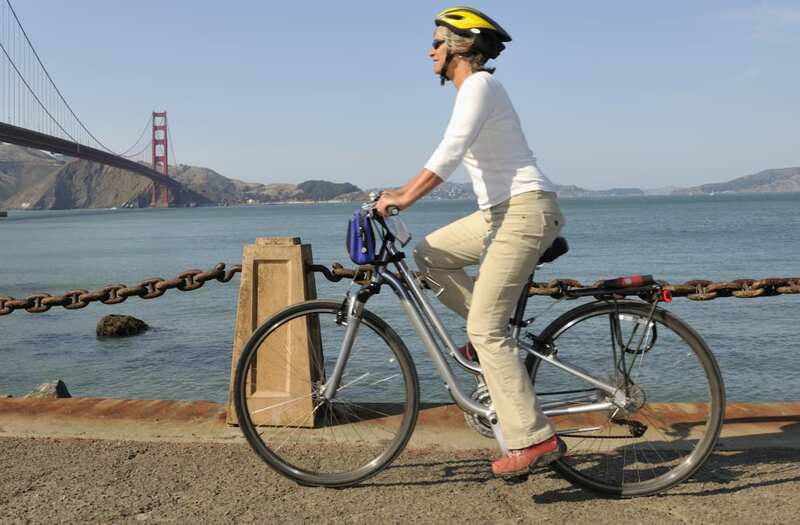 In San Jose, the estimated retirement age is 69 and in San Francisco it's 68. This is partially due to the high costs of living in California. As you can see the state of retirement for millennials is not bad. This simulation assumes that millennials will start collecting Social Security benefits at age 67. If millennials can manage to save 7.5% of the median income per month (including any employer match) starting at age 27, it may be possible to retire relatively early. Even in expensive cities like New York or Los Angeles, the estimated retirement age based on the scenario we laid out is 65. In cities like San Jose or San Francisco, retiring requires more savings and so the estimated ages are 69 and 68, respectively. To be on pace to retire at 65 in cities like New York and Los Angeles, millennials may only need to save around $300 per month, on average. In more affordable cities, like Philadelphia, that number drops as low as $240 per month. Even in San Jose, the city with the highest estimated retirement expenses, to retire at 69 with an annual income of $154,267 you will only need to squirrel away $529 per month, on average. Given that the median household income in San Jose is just under $85,000, that may be possible. While the picture above is encouraging, it's also true that hitting those savings benchmarks may not be easy. One of the first hurdles the average millennial will need to overcome is student loan debt. Data from the Federal Reserve Bank of New York shows that nationwide Americans held about $1.3 trillion in student loans in 2016. That's an increase of almost 420% from 2003. While not all of this debt is held by millennials, a sizable portion of it is. Data from the Federal Reserve Bank of New York indicates that the average millennial has about $14,425 in student loans. While $14,425 may not sound like a huge amount, when it comes to retirement that number can represent multiple years of savings. And multiple years of savings adds up to a considerable amount, thanks to the powers of compound interest. Let's take a look at what would happen if, instead of spending that money paying off student loan debt, millennials were able to invest it. A millennial who owes $14,425 on a 10-year student loan at 4.66% interest rate, can expect to pay about $151 a month. But if millennials invested $151 a month into an account earning 4% per year and reinvested the earnings into the same account, that $14,425 would turn into $26,617 after 20 years. After 35 years, about the time when millennials will be considering retirement, that $14,425 would have turned into $47,936. So, you can see how detrimental a late start on retirement savings can be. Underemployment is another thorn in the side of millennials. The numbers are fairly stark. Across almost all economic metrics the millennial generation is doing worse than previous generations. For starters, millennials are less likely to be employed. Only 65% of 18 – 34-year-olds in 2013 were employed compared to 70% in 1990. And young adults as of 2013 make an average of $2,000 less than young adults did in 1980 and $4,000 less than young adults did in 2000. There has also been a 30% increase in the number of young adults living in their parents' homes in 2013 as compared to 2000. Additionally the poverty rate for young adults has risen from 15.3% in 2000 to 19.7% in 2013. All of this despite an uptick in education. In 2013, 22.3% of young adults had a bachelor's degree or higher compared to 19.5% in 2000. Haven't been putting 7.5% of your salary into a 401(k) from age 27? Everyone's situation is different. You can enter your specific financial scenario into a retirement calculator for an estimated retirement age or to figure out how much you need to start saving. In the first scenario we assumed millennials would receive Social Security payments starting at age 67. However, since 2010 the Social Security Administration has paid out more funds than it has taken in. At current rates the Social Security Administration has enough funds to last until 2037. After that time the Social Security Administration predicts it will have enough from tax payments to pay 76% of benefits. But without some changes in how it is funded the Social Security Administration will face a severe shortfall in the coming future. With that in mind, we were curious to see what millennial retirement would look like if millennials were unable to receive any Social Security benefits. The results are dire. If there's no Social Security benefits and millennials are only able to save 7.5% of today's household median income in each city, a normal retirement may not be possible. In this scenario where millennials rely exclusively on savings in their 401(k), we estimate that the average millennial living the largest cities will not be able to retire until their 80s. Our calculator assumes an end point at age 95, so in most cities our calculator estimates that without Social Security, average millennials will have about 10 years' worth of income to retire on. That means working for almost 60 years for the chance to relax for only 10. Take Columbus, Ohio, as an example. The average millennial who starts saving at 27 and receives Social Security payments at 67, may have enough income to retire at 64. In this scenario, Social Security payments would make up $53,000 of the $73,000 total annual retirement income. In the worst-case scenario, with no Social Security payments, the average Columbus millennial might not be able to retire until 85. Starting to save for retirement early is important. It may seem tough at first, but the earlier you start saving the more it pays off. One way to get the most out of your savings is to invest in a workplace savings plan like a 401(k) or a 403(b). Sock away as much as you can afford into one of these plans and make sure you're contributing enough to take full advantage of any employer match. You may also want to consider utilizing a traditional or Roth IRA. Both are individual retirement accounts, meaning you don't need to set it up through an employer. With a traditional IRA, you will be investing pre-tax earnings which means those contributions will be deductible at tax time, lowering your taxable income. With a Roth IRA, you'll be investing post-tax money meaning you don't get a tax break now but you won't be taxed on that money when you take it out in retirement. For this study on the state of millennial retirement, we looked at data on incomes and expenses in each city. We plugged those numbers into SmartAsset's retirement calculator. The calculator gave us the earliest age the average person would have enough money saved to retire in each city. We ran two different simulations, one in which we assumed millennials would have Social Security benefits and one in which they would not. Data on median household income for all 15 cities comes from the U.S. Census Bureau's 2015 5-Year American Community Survey. We used that data to estimate monthly savings and retirement expenses. We assumed that residents begin saving at the age of 27, are married, had no previous money saved, place all savings into a 401(k) and, for the first simulation, start take Social Security benefits at age 67. We also assumed a 4% return on savings and an annual inflation rate of 2%. Furthermore, we assumed that households had no additional savings or retirement accounts like an IRA. The sole difference between the two simulation is that we removed Social Security payments as a factor for the second simulation. Finally we plugged all this data into our retirement calculator to find the estimated age at which the average millennial would have enough money saved (combined with Social Security benefits and without Social Security benefits) to meet their expenses until the age of 95 in each of the 15 biggest cities. The post The State of Millennial Retirement appeared first on SmartAsset Blog.